Journal Of A Petite Diva: A PLEA TO THE DOCTORS AS THEY COMMENCE ON ANOTHER STRIKE! A PLEA TO THE DOCTORS AS THEY COMMENCE ON ANOTHER STRIKE! Nope, it is not by the joint health workers. It is by our seemingly 'almighty' Association of resident doctors (ARD) in Nigeria. Yes people, doctors are using yet again what I can describe as their only weapon. They are on strike. What are their reasons? You can google it; you would find out alllllll their reasons. I refuse to write them here and I refused to ask any of my doctor peeps. Right now I am mad. I am freakingly mad. But after getting angry and discussing the issue with some of my colleagues, I have decided that I don’t need to waste energy on hashing out the issues that I have with their seemingly frequent strikes. The hospital where I work, the ARD members have been on strike twice this year so this makes their third strike and guess what the year ain’t over yet. I am expecting another one before the year is over if they ever end this one. After reading what their supposedly demands are, I was extremely saddened. And when a non medical professional tried to express the disappointment of people, someone, a doctor said and I quote ‘go and read medicine na if you don’t like it’. Someone actually wrote such a comment on the internet. I am so utterly disappointed. Another statement that I read on the internet was a MBBS holder (that is the degree that a doctor holds) said ‘I dare you to talk to any of the medical doctor, doctor of physiotherapists and doctors of dentistry and see if any of them will agree to marry you. 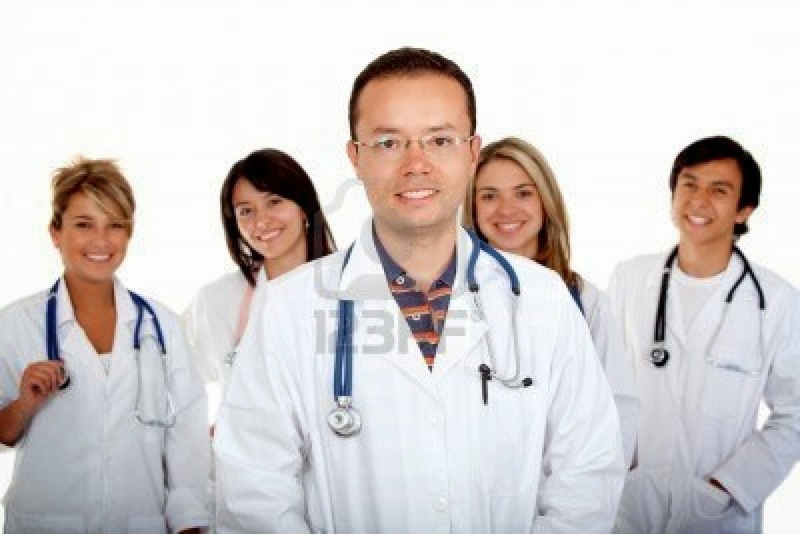 These three sets of doctors are well ahead of you and you can only talk to them from a distance’ to a journalist. Immediately what came to my mind was ‘Animal farm by George Orwell’. The statement of ‘All animals are equal but some are more equal to some’ (can’t remember the exact words, I am not presently with my animal farm novel). But the idea was that the pigs (who were ruling) were superior even though all of them were animals in the farm. How can a human being say that to another human being because you studied a different course? I am really hoping that the person was seriously joking. It saddens me because i see my doctor friends and I remember attending secondary school/University with them, all of us gisting, laughing, attending classes, being flogged by the naval officers (for those in my secondary school) and I absolutely refuse to believe that anyone of them would think that way. I refuse to believe it. However to those who have equated themselves to God and believe that they are superior, I say please continue. I refuse to say more than that. Another issue that makes me sad and also mad is that anytime the ARD members go on strike, they make their interns and corp members stop work too. I once confronted 2 of my doctor friends about that. I asked them why the house officers/corp members were also going on strike and they claimed that they are also members of ARD. However technically when you are employed as intern or a corp member, you are not permitted to go on strike. When pharmacists go on strike (rarely), we make sure that the call units are open and run 24hours by the interns and corp members and are supervised by the pharmacists that are management staff (Chief Pharms and ADpharms). When I told the doctor friend, he said it is because we don’t have a strong association and I shook my head and kept quiet. Even if we have the strongest association in the world, I know for a fact that pharmacists would never ever completely shut down the pharmacies. We have been voted the best profession times without number for a reason. The reason, we are compassionate. Speaking for myself, I love what I do and it is not about money. I always try to put myself or my family in the position of the patients. I try to do the best I can do within the rules set so that I can help the patient to the best of my ability and not put myself in trouble. I am in a state that is far from home and it is not money that made me stay back after NYSC, it was the fact that I loved what I do here despite the insult i receive (just had a doctor insult the life out of me right now but i don't mind). And I would still enjoy my job until God says it is time for me to move higher. I absolutely think it is morally wrong for the doctors to include the house officers and corp doctors in their strike!! I know by writing this article I am going to get a lot of comments and probably hate from some people but I don’t care. I think people should stand for what is right. I am not going to talk about the demands that are being made because right now I couldn’t care less. But I would talk about the fact that there seems to be a lack of moral sense with the way things are been done. No amount of reasons can justify that action. How can people be so mean? Consultants are now running the hospitals with medical students (which is good but could backfire on the doctors in future). I know that for some months now the interns have not been paid but it is not only the house officers that have not been paid. I know it can be annoying but I know that things would be solved. I just hope for a future when the doctors when requesting for something wouldn’t always result to strike. Funny growing up, I never heard of doctors or health workers going on strike. Oh yeah, just remembered the military was in power and no one could dare try it. Reading some articles in some newspaper publications showed that the public is beginning to lose faith in doctors and even though it is God that heals I believe having the confidence that your doctor is interested in your well being helps in the healing process too. For the sake of my future generation, I plea to all doctors in Nigeria, don’t ridicule the medical profession. Fight for things that matter and not for things that don’t make sense after a while. Rededicate yourselves to what you swore to and remember why you wanted to be a bachelor of medicine, bachelor of surgery holder. After all that has been said, I say that it is well with the healthcare sector of Nigeria. On a lighter note, since they have decided to sit at home, work load is lighter since it is only the consultants that are working so I am able to read more than before. I don’t get home so tired anymore and I have more energy to read. Hey, it is all about turning lemons to lemonade right? Sorry guys about this post but I think this would be last I ever talk about doctors on this blog. Now I don’t promise not to critic their fashion sense on my fashion blog though (http:medicsfashion.blogspot.com), hey it is a fashion blog for medics I should be allowed. Thanks for reading guys. I am seriously expecting looooadssss of comments. P.S: Today was a sad day. Another plane crashed in Lagos and almost 16 people died. The worst part is that they were carrying the remains of a past governor of Ondo state, Olusegun Agagu. When I got the news, it didn’t quite hit me until a couple of hours later. God is our only protector. To think I traveled by air for almost 12 hours this year and I am alive to write this. It is all God. If you are alive to read this, please say a word of thanks to God because you didn’t do anything to deserve him sparing you life, he just did. May their souls rest in perfect peace, Amen.